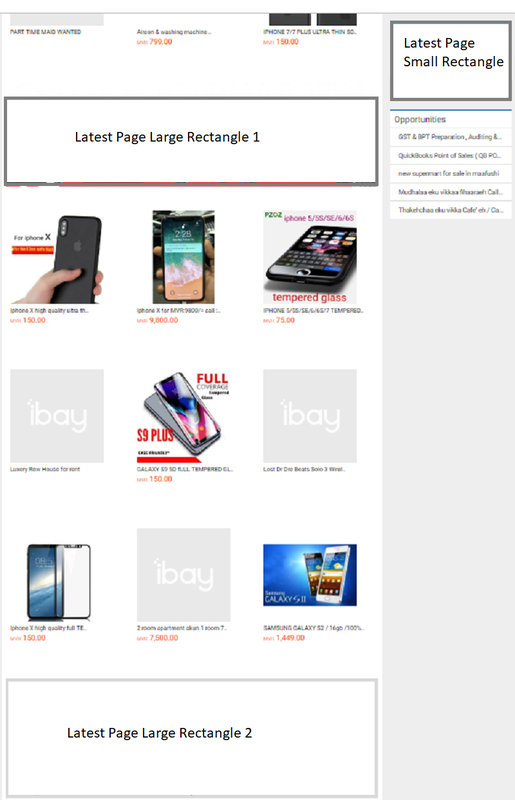 These rates apply for advertising on www.ibay.com.mv. Leaderboard appears at the top of page while browsing through ibay. 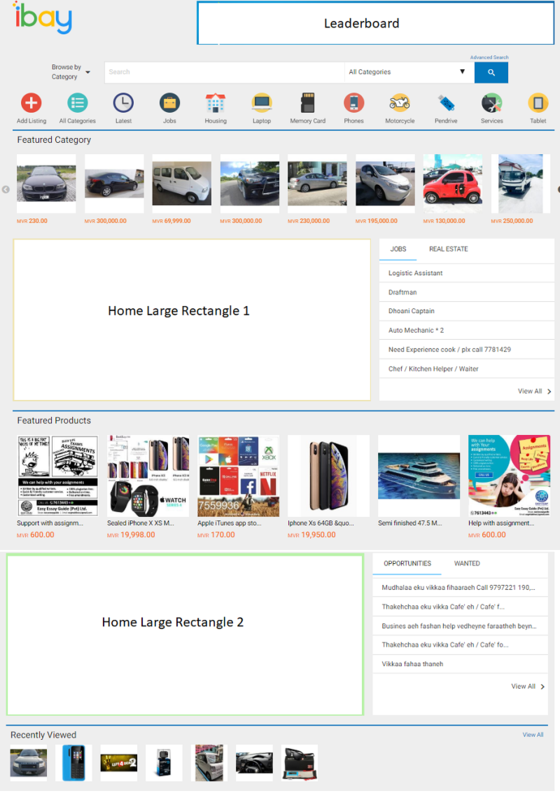 Appears on homepage, category pages, listing pages and search. 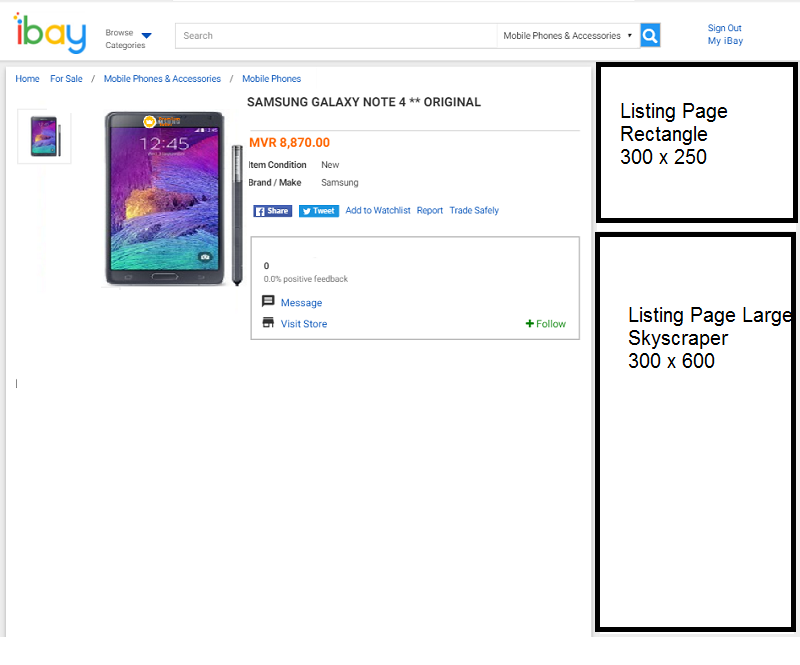 Listing Page Rectangle appears when viewing any listing on ibay. 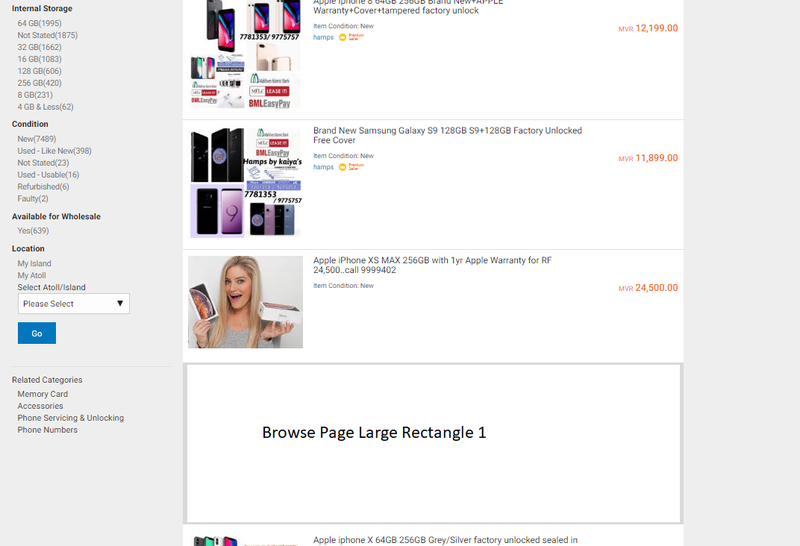 Category related Listing Page Large Skyscraper appears on the right side when viewing a listing that is listed under the category. Banner size is 300 x 600 pixels. Discount available for multiple slots and payment period. Advertiser login (for banner updating and viewing stats) is available to advertisers with an annual contract with advertising worth MVR 5,000/month or above.